Superdry men’s Vintage logo 1st panel t-shirt. 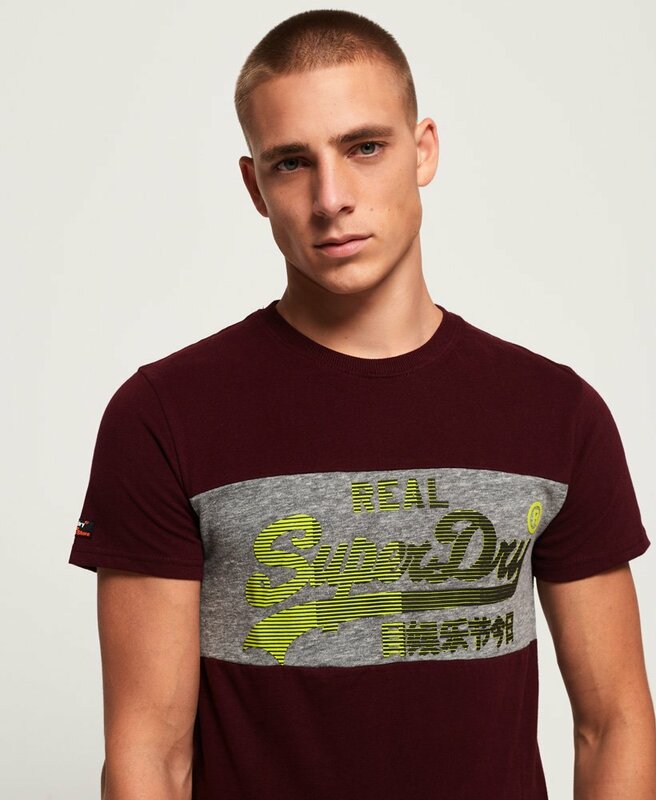 A classic Superdry tee with a twist, featuring a crew neckline, a colour-blocked panel design on the front and a textured Superdry logo across the chest. Wear this cotton tee with a pair of our skinny jeans and trainers for a casual look.